Notice of motion: Mayor George Brticevic, right, and his deputy Darcy Lound on the night night they were elected last month. 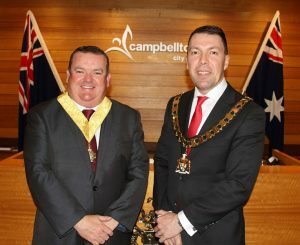 The plot thickens at Campbelltown Council over the controversial plan to establish Campbelltown Alliance – an advisory group that would have included people from outside the area. As the South West Voice has previously reported, the ink hadn’t dried on the vote approving the plan when three Labor councillors gave notice they would seek to rescind their own decision at the next council meeting on Tuesday, October 9. Which in our years of experience covering council politics is code for: the Campbelltown Alliance is not going anywhere. It’s not dead and buried, but it may as well be. Which will please the powerbrokers higher up the food chain who have expressed their concerns about such an advisory group being set up. My mail is that those concerns reached the ears of both the mayor and the general manager, Lindy Deitz, a supporter of the Campbelltown Alliance plan. All this has again confirmed that as far as Campbelltown Council is concerned we live in interesting times. Lindy Deitz, Chief Executive, City of Campbelltown, said the blurb. Ms Deitz’s correct title is general manager of the council, so if someone from the organisers, the Western Sydney Alliance, is reading this, please take note for future reference. The announcement by Camden State MP Chris Patterson, that he will not be seeking re-election after eight years in office, has stirred up the chooks, with lots of speculation about why he’s pulled the pin. 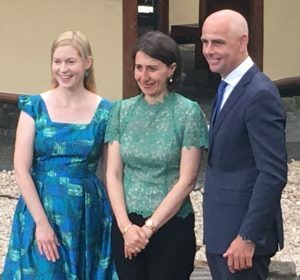 Goodbye: Camden MP Chris Patterson with premier Gladys Berejiklian and then Camden mayor Lara Symkowiak. “It has been a tremendous honour to represent the Camden community for the past 18 years as a Councillor, Mayor and State MP. “I love the Camden community and it has been a privilege to be in each of those roles. “Thank you to all the schools, community groups, sporting associations and individuals who have been part of this journey over that time. “I have met some wonderful people, made some life long friends and had opportunities afforded me due to my roles. “With mixed emotions I will be leaving public life to start the next phase with my family. “I want to thank the Camden community for all your support and for giving me the opportunity to do what I have over that time. 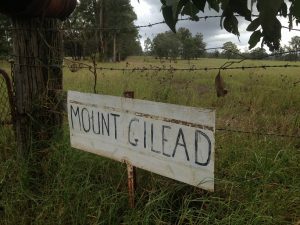 Community group Help Save Mt Gilead Inc. has lost its court appeal against the rezoning of stage one of Mt Gilead, south of Campbelltown along the Appin Road. The Land and Environment Court hearing took place in June, while the decision was handed down last week. Mount Gilead Pty Ltd, Stefan and Anna Dzwonnik, The Greater Sydney Commission, Minister for Planning and Campbelltown City Council were the respondents in the case. The residents based their appeal on four grounds, and they were all rejected by Justice T Moore. The alleged grounds of objection included failure to include zoning maps in the planning proposal, misleading information in the air quality review, failure to have regard to critical heritage curtilage information and failure to have regard to potential state heritage listing. While Justice Moore concluded that the proceedings be dismissed, he reserved costs. In his September report to members, Ingleburn Rotary president John Hartman describes how on Thursday, September 20 it was “off to Macquarie Fields Public School to help out with their mini fete. “It was full-on but hardly a challenge for us these days,’’ he said in his report. Now you know who to call for your next sausage sizzle fundraiser! As well as the controversial Campbelltown Alliance issue, council at its next meeting will consider a plan to help our country NSW sister city Coonamble, located in the epicentre of Australia’s drought situation in far north-west NSW. The recommendation to be voted on is for council staff contact Coonamble Shire Council to offer to assist with developing an event or activity that supports their community and direct funding of up to $20,000. 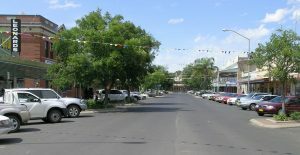 A report to council says Coonamble’s population is made up predominantly of wheat growers, sheep farmers and wool producers. There’s talk the greatest coach of all time, Wayne Bennett, is about to sign a long term deal with the Wests Tigers to replace Ivan Cleary, who’s apparently off to the Panthers next year. If it comes about, our tip is the super coach’s first edict to club bosses will be: Get thee to Macarthur now!